It's your time, your budget and your business. 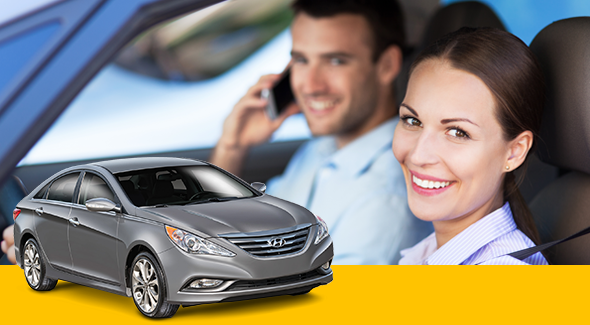 Whether you are traveling locally or out-of-state, travel on your terms -- with an affordable, reliable rental car from U-Save. "Best car rental place in Meridian, MS. Excellent service and great vehicles." The birth town of Jimmie Rodgers has more to offer than just country music. Meridian, Mississippi, car rental service helps budget-conscious tourists enjoy the many sites of this historic city. You can tour Meridian, visit the graves of the gypsy king and queen, visit museums, and see a few shows, and still have money to spend if you rent a car from U-Save Car & Truck Rental in Meridian, MS. You see, U-Save is the country's #2 neighborhood car rental company. Affordable pricing and extra friendly staff make U-Save's Meridian, MS, car rental service the place to get a car for both tourists and residents. Whether you need a car because you're in town visiting or you need a loaner while yours is getting fixed, you can rely on the lowest price and friendliest staff at U-Save to get you in a car fast. It is our philosophy that we must earn your business the right and honest way. When you walk into U-Save in Meridian, MS, you'll get a good deal on a car and our staff will treat you like a neighbor. Do yourself a favor and see how you can save on a car rental. All you have to do is fill out the form online and click submit. There are no hidden terms, no membership to join first. Fill out the form or call us at 601-483-5402, and we'll take it from there.